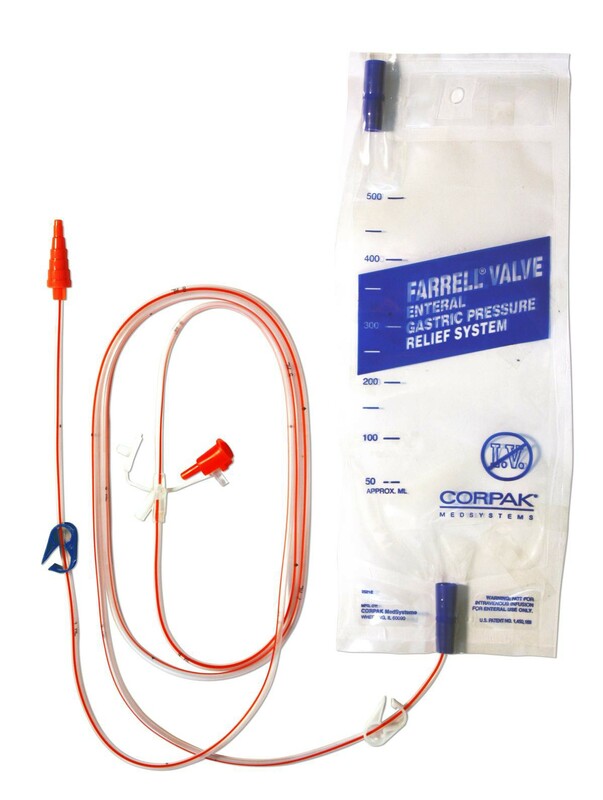 The Corpak FARRELL Valve Pressure Relieve System by Halyard is a pressure relive system made to help reduce gastric pressure and bloating from tube feeding sessions. Discomfort can occur during a feeding session. Although we would like to have a clear understanding when feeding an infant or child whenever they may feel pressure, we do not always get the clearest signal. Symptoms may come later in the day after feeding - such as bloated stomach, excessive gasses, and difficulty in bodily movement. These discomforts can cause children and infants to associate pain with feeding, making it a stressful situation for the child and the parent when the child does not want to cooperate. While there are other methods to help ease bloating, the FARRELL Valve System is one that can be used during the feeding procedure. Adult patients who suffer from gastric and digestive problems can use the product to relieve their symptoms. The latex-free product offers the ability to use with people who may be allergic or sensitive to latex and latex based products. Functionality of the FARRELL Valve is located on the top of the collective bag. Expelled air pressure will be released into the bag. The bag takes in the expelled air and allows it to be released into the air. The bag will never get filled to the point it may burst. The valve is opened and freely lets air escape. White and Blue clamps are supplied on the line to discontinue use, closing the correct color-coded clamp. The FARRELL Valve does not intrude, nor does it cause any inabilities to run the feed machine normally from its intended use. Please read instructions before using product. You may be interested in replacement parts for your feeding tube, such as the Corpak Gastrostomy Feeding Tube. 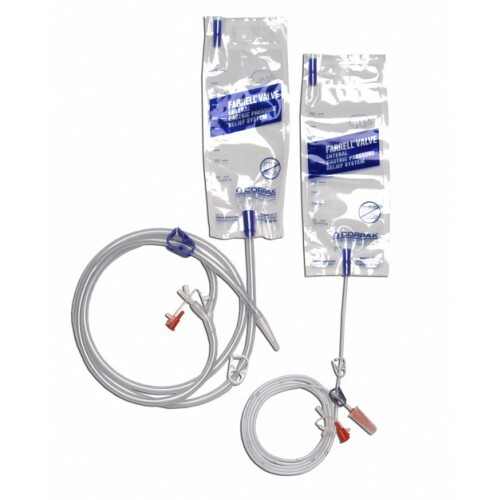 If you are in the need of a feeding tube declogger, take a look at the Corpak, Clog Zapper Feeding Tube Declogger. According to the manufacturer users should change the FARRELL Bag when the feed bag is changed. The maximum recommended use of FARRELL Bag is 24 hours. This gastric pressure relief device is very good for my patients. My staff can easily use this device for the patients, who have gastric and digestive problems, without any difficulty.